Ford F-150 kit allows you to quickly and easily repair your shift cable by replacing the bushing. The patent pending coupling and custom molded replacement bushing ensure a quality repair with ease. A professional can perform this repair in under 2 minutes, average time for a non-professional is less than 5 minutes. This bushing is made from a material that was designed to outlast the factory bushing and includes everything needed to install. 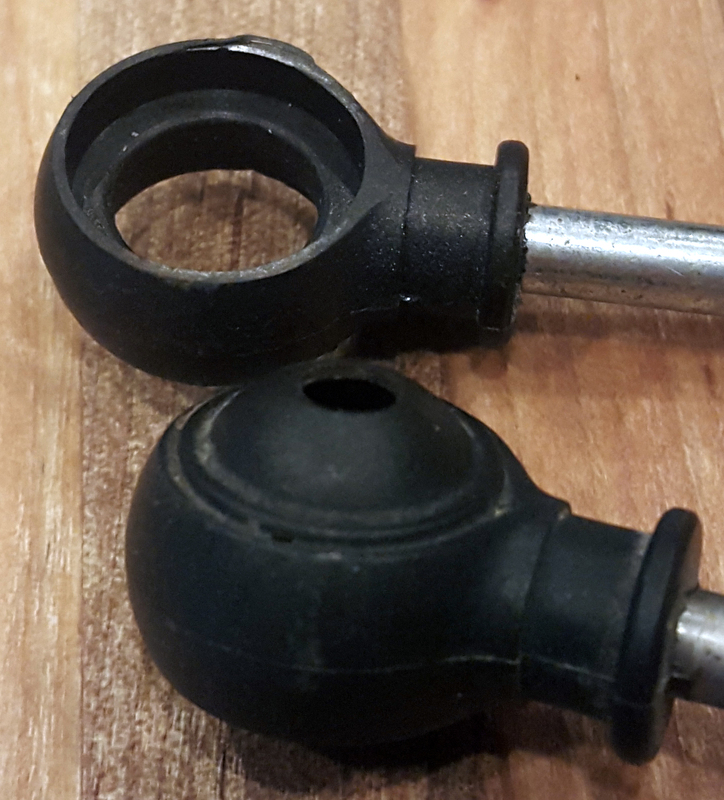 Order Online at www.BushingFix.com This shift lever bushing repair kit allows you to fix your Ford F-150 shifter lever by replacing the bushing very easily. It takes about 5 minutes and comes with a warranty, it's made from better material than the factory bushing so it'll last longer. No drilling required. Check out our website to order and for additional written instructions. The easiest way to fix your 2004-2005 Ford F-150 shift lever! Includes replacement bushing. Great quality, shipped promptly, and fits like it should. I bought this for my 2004 as I was concerned using pliers directly on the plastic bushing housing on the rod. Given its age, was concerned it would crack. The kit worked perfectly. Was done in about 7 minutes. Most folks say you can "roll under" an f150 and do it, perhaps some can, at 6'2" 200lbs and having running boards it was too tight for me. Bought some drive up ramps and chocks the extra 6-8" of clearance made it a breeze. P.S. you may need something to dig out the remains of the old bushing. I knew ahead of time and had a dental pick with me when I crawled under. Used large channel locks to press the bushing in. It took all of 5 minutes to spread out a tarp, put on a head lamp, crawl under the truck and do the job. Small pick to clean out the bushing socket and a pair of Channel Lock pliers to press the new bushing in. The simple and effective install tools are awesome. End product is the truck is back in service for $25 and a few minutes work. Thank you. The linkage on my transmission shift lever was wore out and loose. It was causing trouble trying to shift into the correct gear. The cable bushing replacement kit was easy to install & my shifter works like new. Took longer for me to crawl under the truck than to install!! This repair kit was perfect. Noone else had the correct part for my Ford F150, but this fixed it with only minutes actual "under the truck" time. Got here in only 2 days after shipping. A little pricey, but the truck is back on the road. Please see full story on my blog. Please be assured that the article title refers to my truck, and not your product. It's a good review. Well designed installation tool made install simple and efficient. Fixed the problem with my 2004 F-150 without even breaking a sweat on a 90 degree day. Installation was a snap.